The Company continued to put important focus toward Corporate Social Responsibility (CSR) to all stakeholders to minimise as far as possible any negative impacts of our operations on the environment and society, and to promote positive social change. The Company sees corporate social responsibility as a company- wide effort, and it encourages and supports the engagement of employees and customers in actions and initiatives that will contribute to a more equitable and sustainable society. In 2018, the Company was involved directly in several social activities focusing on community development, education support and environmental preservation. 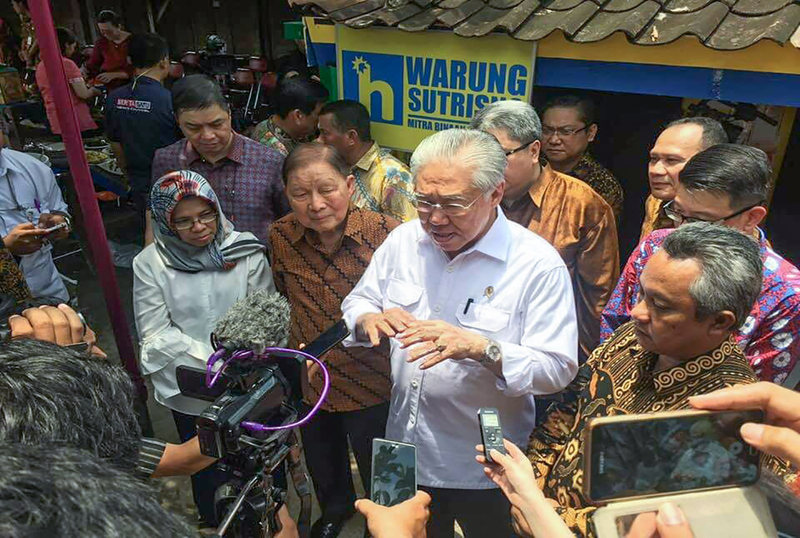 Those activities were conducted through cooperative partnerships with several Indonesian NGOs to manage certain social programs, especially the donation program. As the Company’s operation is solely focused on retail and distribution, and not manufacturing, the Company tries to minimize its impact on the environment through energy efficiency and waste management measures. The Company prioritizes various environment matters at all store levels. Certain measures are taken to create better environment at the stores’ surrounding. By the end of 2018, approximately 54% of the Company’s total stores have adopted the energy saving LED bulbs, while Hypermart as the Company’s main business format, has adopted 100% LED bulbs. Initiated for the first time in 2014, the LED bulbs usage has successfully reduced 75% electricity usage at Hypermart stores. Going forward, the Company will continue to adopt the usage of LED bulbs for new stores as well as renovated stores. Initiated in 2013, there is approximately 80% of chillers at stores using the environment-friendly refrigerant (freon) R404, which also contributes to 10% savings in electricity usage. The Company actively promotes environment preservation through recycling efforts as well as reducing the usage of plastic bags. Education to consumers was carried out through cashiers at the Company’s stores, who offer to reduce the usage of plastic bags by offering the alternative non-plastic shopping bags. 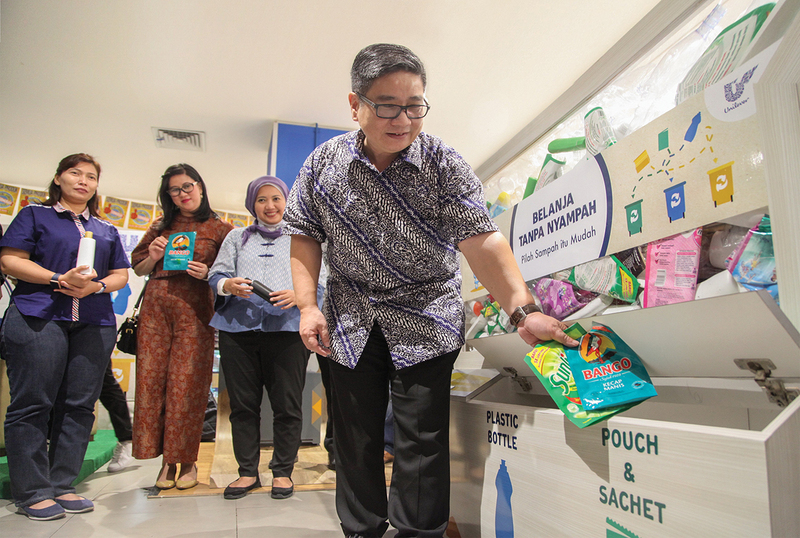 The Company’s effort to reduce the usage of plastic bag have received awards from the Ministry of Environment and Forestry Republic of Indonesia in 2015 in the regards of environmentfriendly plastic bags complying to the standards of Ecolabel and Green Label Indonesia consistently. At stores level, the Company continues its efforts for waste management and disposal through coordination with waste disposal agencies on regular and consistent basis. All stores have been equipped with integrated grease trap features to filter out the fat waste which is the primary waste from meat, bakery and RTE process. Seawage Treatment Plan (STP), a more comprehensive system than grease trap, is in the middle of development process in Hypermart Puri Indah, which is the largest Hypermart store. The development is expected to be completed at 2018 year-end. The Company prioritises local recruitment, and the majority of the employees in stores around the country are recruited locally. 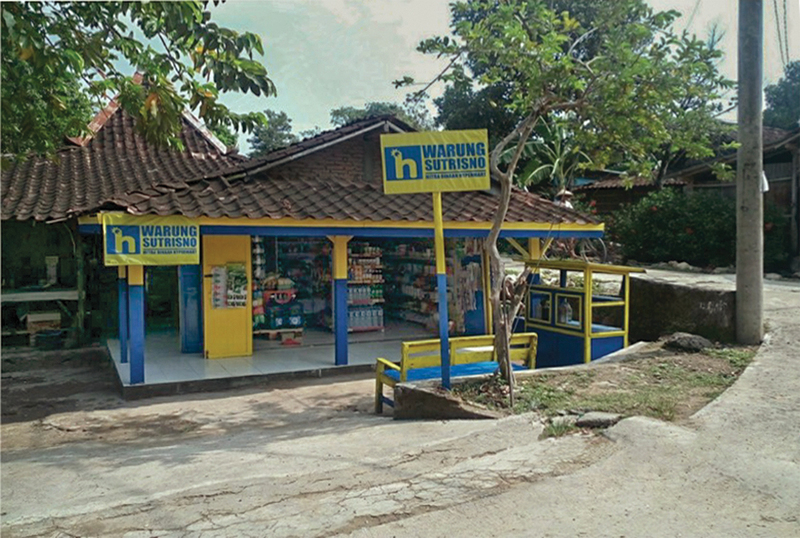 Each of the Company’s store openings creates a significant number of jobs, which contributes to local economic growth, particularly in Indonesia’s second and third tier cities. The Company puts high attention toward social development, especially on community development and education support. In addition to making a material contribution to local economic and social development by providing attractive and fairly compensated employment opportunities, the Company also invests in empowering people and communities through various health, education and livelihood initiatives. Regular workshops are conducted for food handling, food safety and food quality as well as other issues for SME. These efforts are expected to bring benefits to MPPA through better knowledge resulting in higher food quality delivered to customers. Coordinating with its parent shareholder group, the Company is always at the front line in giving financial aid to students or schools in-need in various regions and helping victims of natural disasters. Donations are provided for less fortunate schools in certain regions through financial aid, books, teaching tools and other helpful materials. In 2018, the Company continued working with its parent shareholder group to give annual financial donation support aid for 10 national universities and higher education institutions throughout the country and mobilized aid for victims of natural disasters. In September 2018, the devastating earthquake and tsunami hit Palu, Donggala and Sigi, destroying all public infrastuctures and economy in those areas. Despite Hypermart store in Palu severely damaged due to the tsunami, the Company put its hard efforts in mobilizing aid to consumers in Palu. Various aid such as foods, bottled water, clothing and tents were sent to Palu from the surrounding Hypermart stores such as Makassar and Poso. Within 3 weeks, the Company successfully reopened the temporary Hypermart store to contribute to speed up regional economy recovery as well as fulfill the customers’ needs for food products. Additionally, the Company cooperated with Yayasan Pendidikan Harapan Papua (YPHP) and other donators to donate 8,600 pieces of school package for children at 43 elementary schools in Palu on December 2018. Total aid for Palu Natural Disaster amounted to Rp 1.45 billion. Inline with the mission and main focus of CSR program, the Company further strengthens its focus for children education in 2018. The In-Store Educational CSR Fieldtrip for Children Program was further intensified with invitation for kindergarten and elementary school children to visit nearest Hypermart and Foodmart stores, where children are encouraged to interact in basic information of hygieny, food handling, fresh products for health as well as the role and function of modern retailing within the overall distribution chain. During 2018, 40 Hypermart and Foodmart stores have conducted this program to 71 kindergarten and elementary schools with participation from 2,257 children at several regions where the stores operate. Through Ikatan Karyawan Matahari (IKM) and MPPA’s support, the employees voluntarily donate their time and skills to develop and implement various community engagement activities to address local issues and needs. These activities create added value for our communities, helping to earn the trust of the stakeholders to the Company. The Company has a policy to prevent all corruption practices within all level of organization, where it is stated in the Code of Conduct Charter. The Charter is regularly disseminated to employees, management and suppliers through training and gatherings, and sets out the Company’s policies and procedures for addressing gratuities, bribery. Moreover, anti-fraud and anti-corruption policy are also communicated in these occasions. The cooperation between Company and suppliers has been conducted with applying high standard of business ethics and behavior. All suppliers and contractors are legal entities and as such are required by law to comply with minimum wage regulations and other provisions of the prevailing employment laws, environmental laws and regulations, and the laws governing business. This is stated in legally binding agreement and reviewed periodically. The Company will act firmly with termination of cooperation toward suppliers not complying with the regulations mentioned above. The Company is responsible to employees by upholding all relevant employment-related laws and regulations at local and national level, and by providing an inclusive, fair and rewarding working environment. The Company is committed to provide safe, healthy and comfortable working environment to employees. All stores, distribution centers and headquarter office are equipped with work safety tools such as sprinkler system, fire alarms and fire estinguishers, and emergency exit as well as emergency staircases. All employees at stores, distribution centers and headoffice regularly participate the fire evacuation drills and receive briefings for safe evacuation. Further information about the Company’s employement is presented at Human Capital Section within this Annual Report. The Company always values customers’ safety and comfort as important priorities. Store layouts have safety standards with clear information of emergency exit and emergency staircases, fire alarms, sprinkler systems and fire estinguishers. In the regard of customer comfort, the stores’ design and layouts has bright illumination, air conditioned, wide aisles for shopping trolleys and product shelvings that put focus toward customer safety. The Company ensures that all products offered at all stores have passed certain quality standards in terms of information, ingredients, packaging and other elements. For compliance to stakeholders, the Company ensures that products being offered have certifications from the regulatory authority and include data about ingredients, expiration dates and other important information. This is a strong effort aimed at customer protection. Certain refund policies have been put in place to ensure customers’ satisfaction with all of their purchases at our stores. As a retailer, the Company consistently seeks to strengthen its commitment to customers in all services and the Company’s goal is to ensure that customers are always satisfied with products and services. In the event that the customers are not satisfied for their purchases, the Company welcomes feedback that will help to improve the service level in resolving complaints. The Company has an exchange policy that allows customers to exchange certain goods for similar products within certain period. Interactional services through several social media accounts owned by the Company such as Facebook, Twitter, Instragram and others. All customer feedback is logged and used as input for improvement. If a complaint or enquiry cannot be dealt directly, it will be forwarded to the relevant department to be followed up.